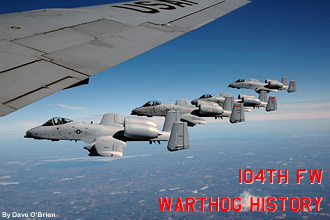 On March 30th, 2007 History in the A-10 community was made. 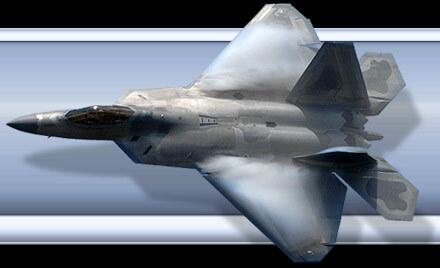 Col. Jon "Motley" Mott of the 104th FW will break the current record of most documented flight hours of 4,550 held by retired Gen. James Skiff which was set in 1999 while Col Mott will have an estimated 4,570 hrs. Flying along with Col Mott are Col Marcel "Jake" Kerdavid, Lt Col. Ken "Torch" Stiles and Lt Col. Ed "Sped" Sommers who will break the most combined flying hours in a four ship formation. The currently record was held by the Barksdale pilots in 2005 with a total of 15,400 hours. The four ship today will have approximately 15,550 hours. In addition, each of the 3 other pilots will break the 4,000 hour mark. The day for me started out on the ramp with MSgt Billy Midwood, crew chief of 166. The 4 jets taken part in the flight are going to be 79-104, the 104th Flagship, 78-614, Springfield Flacons Hockey team, 78-644, Boston Red Sox & 80-166. 78-626, the New England Patriots jet was supposed to be the fourth aircraft but was just pulled from phase dock and hadn't had its check flight back into service yet. Even the crew chiefs were all abuzz this morning knowing what was coming with the afternoon flight. The morning flight was a four ship that was going to play up in Laser North and hit up the 157th ARW for some fuel. 3 of the aircraft were able to take off while one had to be towed back to the ramp with a tire issue. The media ship was a KC-135E from the 108th ARW from McGuire AFB in New Jersey. We had our media briefing at 12:30 in the Ops building. There were at least 30 family members, friends and past record holders in the room along with some local TV & Newspaper media and two current A-10 pilots to answer any questions we would have. We boarded the bus and headed out to the taxiway where they parked the tanker. As the tanker was doing its preflight the 4 A-10 pilots were going through theirs on the ramp. We all buckled in and the tanker started rolling forward, as that was happening, the 4 A-10s started taxing to the E.O.R. The tanker proceeded to RW 02 for take off so we could set up in a pattern over the Mt Washington Area. The plan was for the 4 of them to come up underneath the tanker so we could take turns down in the boom section. They had made the right side of the plane for the friends and family and the left side for the media. Many of the wives and family members have never seen what their husbands and fathers do and this was a great opportunity to witness this up close. Once everyone had cycled through they took turns coming to the boom to connect for fuel, with each aircraft taking 2 turns, this gave everyone a lot of one on one time with the A-10 up close. "Torch", the pilot of 644, had a note taped to the front wind screen to his wife and kids saying "Hi and I Love U". While each aircraft took its turn at the boom, the other three aircraft would set up on the wing tips of the tanker. Some times we had two on our left and some times they were on the right side. After rotating through the boom twice, they set up on the right wing tip in a 4 ship echelon formation. The 4 ship broke off and we started heading back to Barnes, because of the cross winds we couldn't land on RW02 but had to swing around and land on RW20. As we started to disembark the tanker and board the bus, the 4 aircraft flew overhead and split off in 4 second breaks. Each aircraft took two high-speed, at least for an A-10, passes low down the runway and pulled up hard at the end. As we made it back to the Ops building I noticed they had 2 Fire trucks on each side of the ramp entrance. I was able to move over to the left of the trucks to capture each A-10 coming through the water streams that were shooting over the A-10s as they came onto the ramp. All four A-10s parked in the back line and we had to wait while the pilots shut down the aircraft and the crew chiefs tied everything up on the ground. We were allowed to walk over and capture pictures of the pilots in front of their aircraft. "Torch" had asked if I could take a picture of him w/his family with his crew chief in front of his plane which was an honor. They brought the 4 pilots together at the nose of the wing aircraft for some more photos and it was off to the O'Club for some celebrating! I would like to thank the 104th FW, PAO Matt Mutti and MSgt Billy Midwood for allowing me to be apart of this special day in A-10 History. A big thanks goes to Ken Middleton for letting me include his fantastic shots from the tower of the departing and pattern shots from this day.